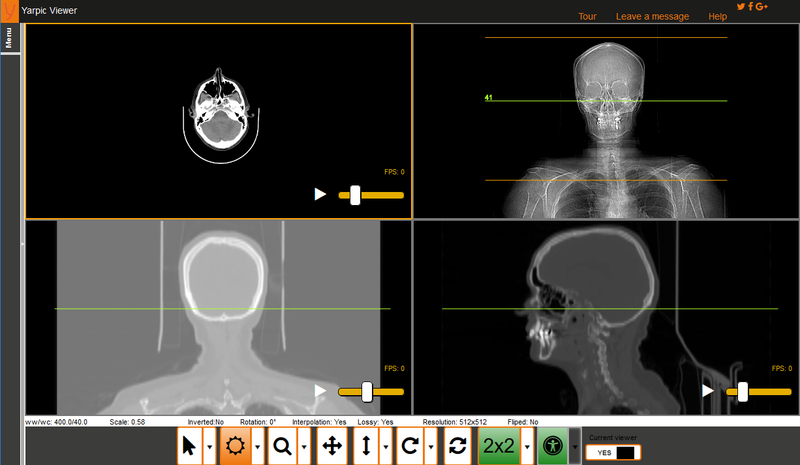 YARPIC manages radiology information and workflow. It covers test requests, appointments and medical report management, custody and access. YARPIC involves patients in the workflow, allowing fluent information communication between themselves and the clinical staff. Basic tools: zoom, window level, image rotation, image flip, image movements, etc. Image annotations, angles, measurements and scout-line. Web interface able to display different resolutions. Consent forms and patient preparation indications. Workflow model and visualization protocols. Access to personal tests and medical reports. Possibility of temporary sharing reports and images.